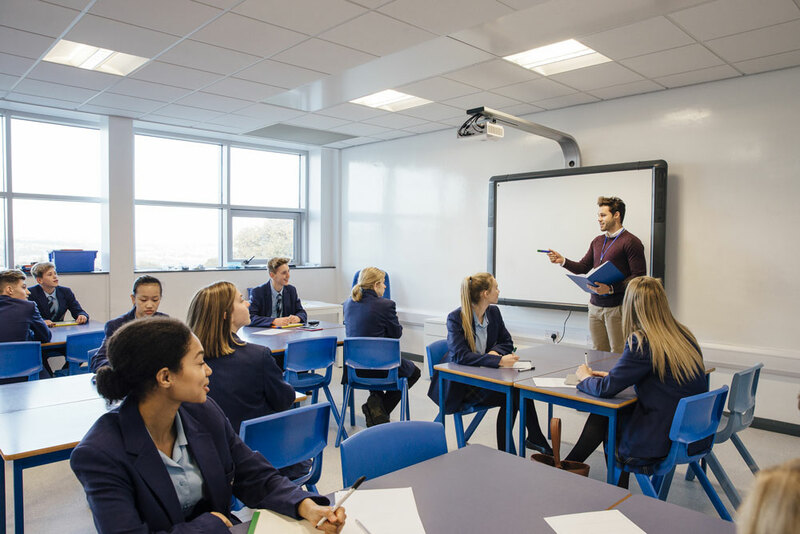 Teachers and pupils spend over 6 hours a day, five days a week, within their school buildings – School cleaning and keeping classrooms clean, tidy and safe is therefore a high priority. As we all know, children are full of energy, messy and more susceptible to minor illnesses than adults. For all these reasons school environments have to be managed to reduce the risk of accidents and sickness. Just as a tidy desk equates to a tidy mind in the office, a well kept classroom creates a productive environment where pupils can flourish. At OCUK our cleaners understand that schools not only have to be clean, tidy and safe, but also know what measures to take to reduce the risk of infectious illness – from the common cold to mumps, glandular fever and measles. Floor buffing, desk cleaning and minor graffiti removal come as standard. We will provide you with a daily work schedule to keep your school as clean as possible, we are fully trained to deal with illness breakouts should your school experience an epidemic. We are leaders in school cleaning – give us a call today.